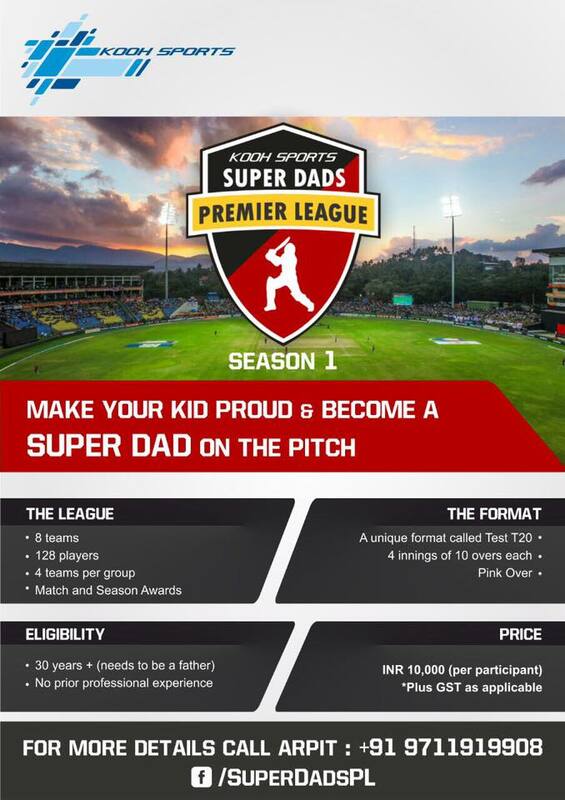 KOOH Sports presents a unique cricket tournament that gives all dads an opportunity to represent their kids and make them proud of their Super Dad. Matches are played under a unique format called Test T20. Players must be fathers, 30 years or older and haveno prior professional experience. Awards for every match, individual andteam season awards and lots of other fun awards. Every team must have 12 to 16 players - Cost of registration for 1 player is 8000.